The Barclays bank branch in Nairobi where counterfeit money was found. Kenyan police seized $20 million of counterfeit banknotes stored in a personal safety deposit box at a branch of Barclays Bank Kenya, the directorate of criminal investigations said. Police also arrested six people, including two bank staff members, the directorate said in a statement on its Twitter account. A Reuters witness saw a crowd outside the branch, shouting angrily and demanding officers reveal their identities. 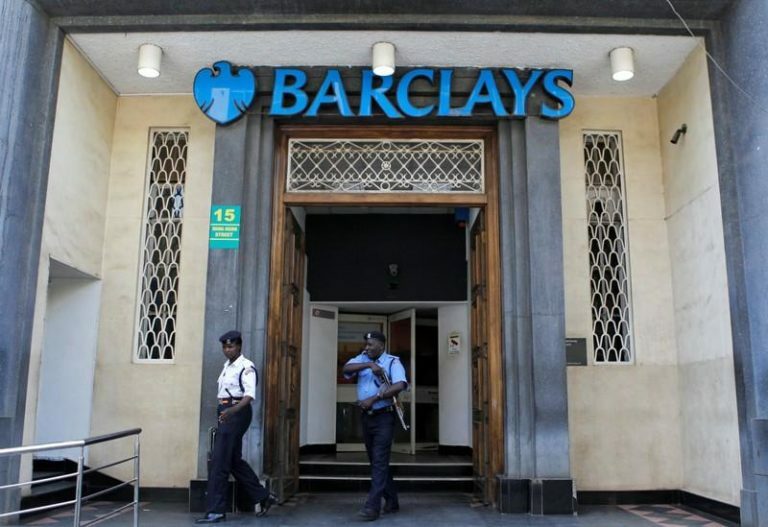 Barclays Kenya, part of South Africa’s Absa Group, confirmed police had seized fake currency from a customer’s deposit box and said it was not the bank’s money and it was co-operating with the investigation. “The customer concealed fake currency in his personal safe deposit box against bank rules and regulations which include restrictions on items which can be held in a safe deposit box,” it said in a statement. The seizure comes when lawmakers are pushing for implementation of amendments to banking laws to relax the rigorous requirements for recording transactions above $10,000. The central bank said the changes could undermine efforts to tackle money laundering, financing terrorism and proceeds of crime. A court case challenging implementation of the amendments is due to be heard on March 29.